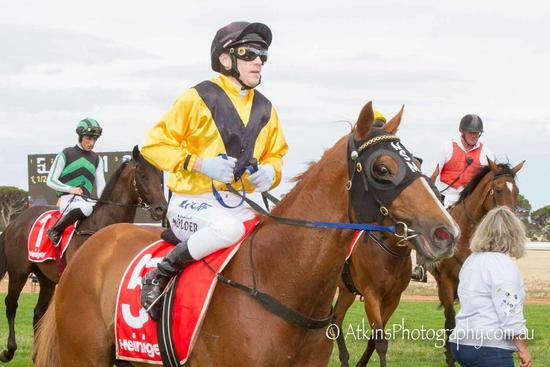 Three-year-old Snitzel gelding Super has registered a dominant maiden win when stepping up to 1400m for the first time at Wednesday’s Balaklava meeting. Confidently ridden by Jason Holder, Super travelled deep for much of the first half of the race, with the top rider content to keep the gelding in the clear and out of trouble. Trucking up to the leaders under double-wraps as the field turned for home, Super cantered to the lead at the furlong, drawing clear late and going on to record a pretty soft win. Super was a $240,000 purchase at the 2017 Gold Coast Magic Millions Yearling Sale for his previous owners, and is another Inglis Online Digital success story for our stable, with Mark purchasing him in March of this year an un-raced colt. With the addition of blinkers, step up in trip and race experience, the well-bred gelding is furnishing into a proper racehorse, and the team are all excited as to what the future holds. Congratulations to the ownership group, Bright Syndications - Super (Mgr: Chris Bosley), Greg Carey and Libby Newbold, Phil Cooper, Bruno & Irvana Dalzotto, MRJH Racing (Mgr: Heath Enjakovic), Glisten Up (Mgr: Brian Featherston), Wayne Foran, Danny Heffernan, Nick House, From The North (Mgr: Andrew Park), Mark Shilton, Jim Smith, Barry Smith and Dean Sullivan.